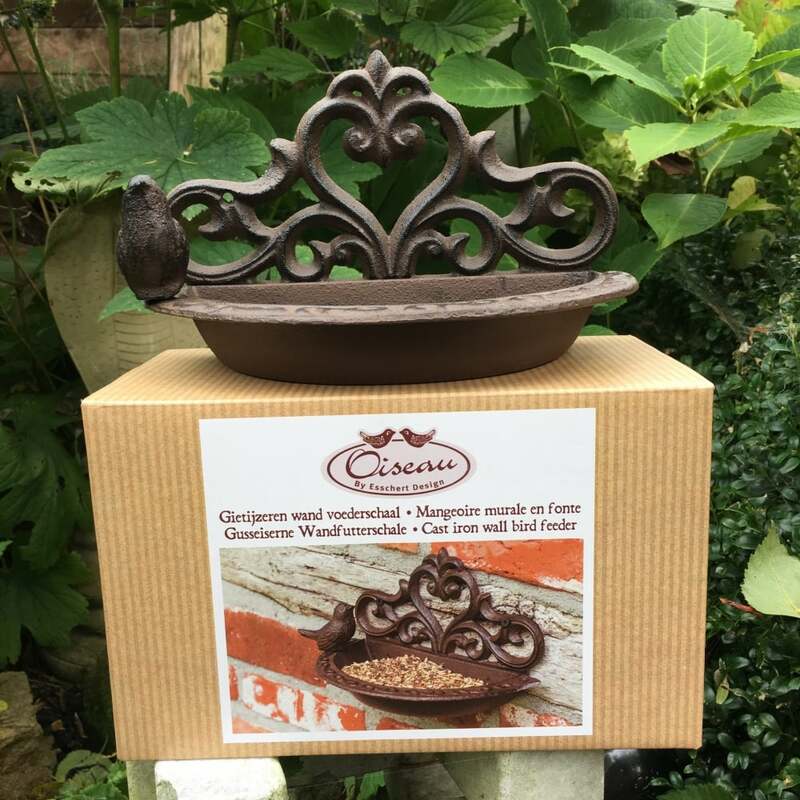 This traditional style bird wall feeder from Ruddick Garden Gifts comes already gift boxed making it an ideal present for anyone who loves their garden birds. The wall feeder is made from cast iron and has decorative scroll work to the back of the feeder which hides the 2 screw holes. There is also a small cast iron bird ornament sitting on the edge of the feeder. 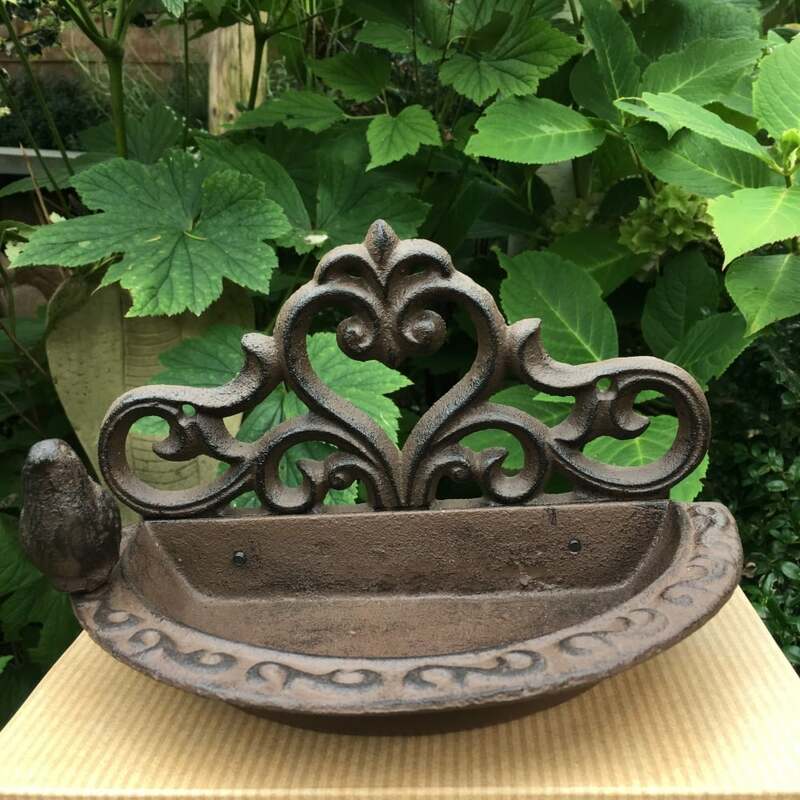 This wall feeder is ideal for small garden birds and can be used for both water and food.